I did catfish on lanier for a year before I got into striper fishing. We went at night and would anchor out in coves and put out lines, we used chicken liver, nightcrawlers and bluebacks we would get from the baitstore that were dead. 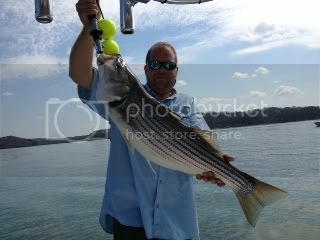 The biggest we ever caught was around 12lbs, mostly we caught them from 2 to 5lbs. Never got any flatheads, I did get a flathead around 10lbs a few years ago up at clarks bridge on a live bb striper fishing. With what I know now I would use cut shad or trout and put out on point's and humps. Would be fun to try for lake record but would rather keep trying for lineside record. 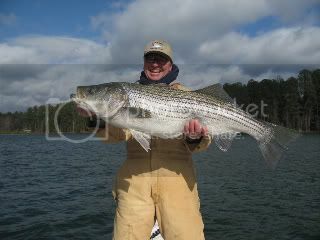 The nicest Flatheads we have caught in Lanier have been on live gizzard shad. I'm convinced most creepers at catfish.